Having experienced overall growth of 13% between 2013 and 2017, the UK household textiles market has been underpinned by returning consumer confidence and sustained demand from contract applications, according to the latest report from AMA Research. 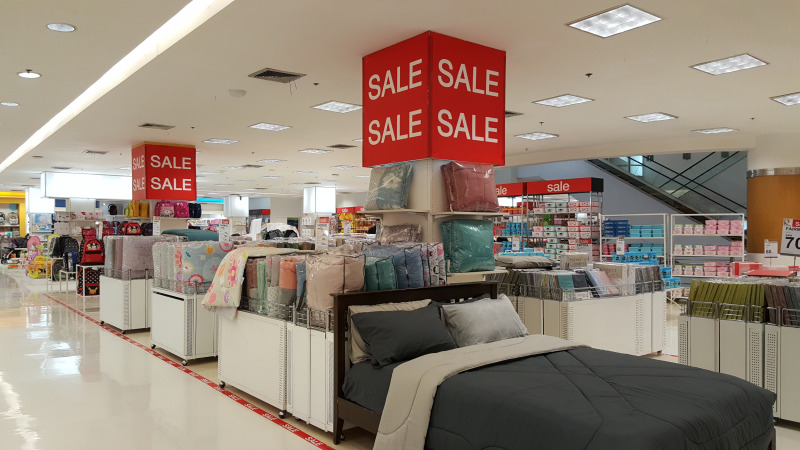 However, the upper sectors of the market are likely to be impacted by the extremely challenging conditions currently facing the department store sectors, with both sales volumes and values affected by the programme of store closures by leading organisations. he outlook for 2018 is for a slowing in annual growth rate to around 1-2%, says AMA, reflecting growing pressures on consumer spending and fierce price competition, which is constraining overall value growth, despite rising import prices. Both mature and highly competitive with high household penetration levels, the market remains highly dependent upon replacement sales, in domestic and contract end-use sectors. The household textiles market is now clearly positioned within the wider fashionable homewares market, with greater co-ordination of colours across items to create a particular style. This is exemplified by entry to the homewares market of clothing and fashion brands, which also appeal to a younger demographic, creating additional sales opportunities. Additionally, ‘breathability’, ‘climate control’, ‘hypoallergenic’ and ‘anti-allergy’ have all become mainstream choices for filled products such as pillows and duvets. The product mix for household textiles is dominated by bedlinen, followed by filled products, bathroom textiles and table linen/kitchen towelling. Given the maturity of the market, the share mix for the products has shown little change over the review period. Import penetration rates have also remained high with both India and Pakistan having grown share of key product sectors between 2015 and 2017. The contract sector also represents a steady stream of sales opportunities for all household textiles products, specifically hospitality and healthcare, with growth in the care homes sector. Market value has however been affected by competitive pricing. According to the report, the supply chain remains highly fragmented, although there has been some consolidation over the past few years with larger companies gradually expanding their portfolio of products. In addition, the distribution pattern for household textiles is continuing to evolve with greater use of “omni-channel” approach by leading channels within the domestic sector as well as the increasing penetration of the “discounters” into the household textiles market. Meanwhile, the degree of imports is expected to remain high across all sub-sectors and is therefore subject to fluctuations in exchange rates and raw material prices. However, UK suppliers may seek to maintain higher stock levels, in order to reduce lead times. Some may also seek to become more vertically integrated, taking processes in house, in order to combat rising import and overseas labour costs. The channels within the domestic distribution mix will also continue to evolve, based on the consumer perceptions of the convenience of ordering and delivery options. Coupled with the challenging conditions for key organisations in the upper market sectors, domestic distribution is likely to see a move to a more “omni-channel” approach with market volume increasing focused on the lower-mid market sectors.